1. To maximize the reach of your professional photography “brand” on the Internet, you need both a portfolio Web site and a blog site. As a full-time, or even part-time, pro, you should know what contents to include on your portfolio site to attract your prime prospects. You want an overall look and a selection of images that match the kind of photography services you offer and the needs of your target audience. The same strategy applies to your blog site. Your goal is to capture the interest of prospective clients with your blog contents, words and photos, and compel them to click on the link to your portfolio site. 2. Your blog site will be more effective at generating leads if you add the right combination of words and photos that will result in search engines giving your blog a better position in a prospect’s search results. Don’t make the mistake of many professional photographers whose blog entries tend to contain nothing more than an image from their latest job, which is also displayed on their portfolio Web site. 3. The insider’s SEO secret is that Google gives preference to a professional photographer’s blog entry with a photo and a descriptive paragraph or two of approximately 350 words. Simply sharing photos with your blog readers, or photos with a title or brief headline/sentence, could put you on page 3, 5 or 100 of any search results. 4. More than one SEO expert advises that, regardless of the attractive power of a photograph, your blog site visitors are apt to linger longer when text accompanies the image. What will interest visitors are some details about where the photograph was taken, the story surrounding it or other description that has meaning for visitors/prospects. Some of your blog visitors may be interested in the gear you used or the technical specs of the image, but these are likely to be other photographers who are not members of your target audience. Few, if any, leads care about the lens’ focal length or f-stop, so make sure whatever text accompanies the photo is relevant to your prospects and could compel them to want to hire you. 5. Keep personal information to a minimal in your professional photographer’s blog unless it helps to reveal your character or professional qualities. Again, your prospects have little interest in your relationships or personal preferences. 6. Your blog has more reach and a dynamic quality when it becomes the centerpiece of your social media activity. Avoid creating a blog that is a one-way street. As prospects comment on your blog entries, engage with them on Facebook, Twitter, Google+, etc. to develop stronger relationships, which are more likely to convert leads into paying jobs. 7. When starting a blog, consider using WordPress, an HTML-based blog technology that is easier to use. One of the primary benefits of WordPress is its thousands of plug-ins, so you can create a unique theme and keep it fresh and inviting, so prospects will return to view future blog entries. 8. 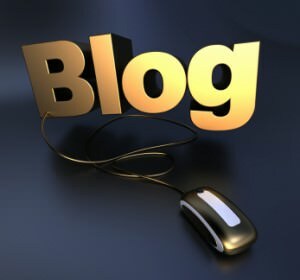 An excellent choice for your blog site is Flexsitez, which has been specifically developed by Portfoliositez.com for professional photographers. Portfoliositez.com is a PhotographyTalk vendor partner, so you can be assured that Flexsitez is highly versatile and very affordable. You receive free unlimited updates with new features. You’re never charged a new version upgrade fee. Visit Portfoliositez.com to review its many Flexsitez blog templates as well as its selection of Flash Web site portfolio templates.